In this Special Health Report, Harvard Medical School doctors share a six-step program that can yield important and lasting results. Together these “super 6” can strengthen your intellectual prowess, promote your powers of recall, and protect the brain-based skills that are essential for full, rewarding, and independent living. From simple and specific changes in eating to ways to challenge your brain, this is guidance that will pay dividends for you and your future. 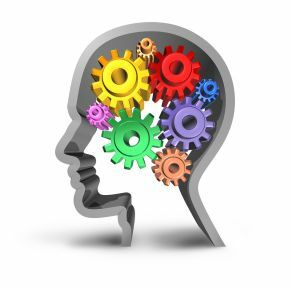 What is cognitive fitness? Cognitive fitness goes far beyond memory. It embraces thinking, learning, recognition, communication, and sound decision-making. Cognitive fitness is the bedrock of a rewarding and self-sufficient life. 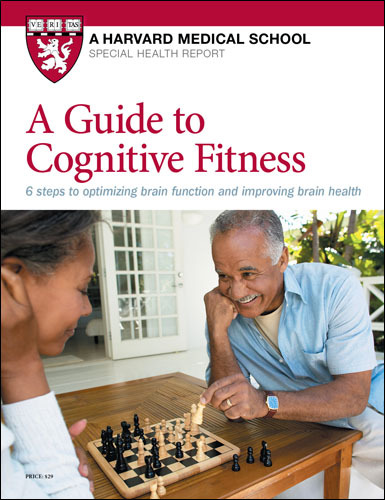 A Guide to Cognitive Fitness will show you how to sidestep threats to your brain’s wellness. You’ll learn how to build a “cognitive reserve” to address your brain’s changes. Most of all, you’ll shape and secure fulfilling and lasting mental fitness. As never before, you can attain lasting brain health. Harvard Medical School doctors have identified six steps which, together, can spur and protect cognitive fitness. This multi-pronged plan includes and integrates proven approaches like optimal nutrition, exercise, stress reduction, social interaction, sleep, and stimulating activities. By incorporating simple, specific changes into your daily routine, you can add years of enduring mental stamina and vitality. What happens to your brain when you’re stressed? your thinking processes) into old age. diseases, but also improve your overall health and well-being.